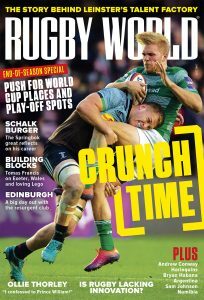 France: Have they finally sorted out their half-back issues? 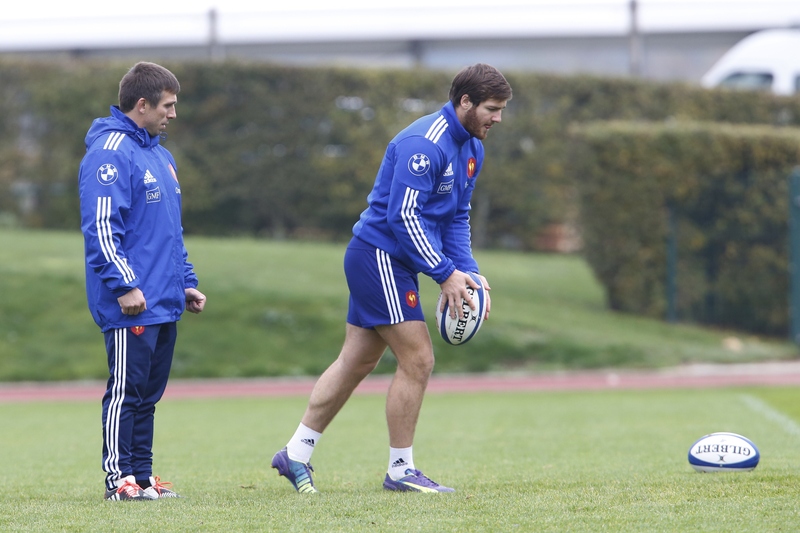 Have France sorted out their half-back issues? UNLUCKY 13? Philippe Saint-Andre will be hoping not. Since he became coach of France after the 2011 Rugby World Cup, Saint-Andre has gone through 12 half-back pairings in his quest for the nine and ten who can guide France to glory in next year’s World Cup. That’s 12 different combinations in 31 Test matches…no wonder France have struggled in the past three seasons, winning just 13 matches and losing 16 with two draws. Sebastien Tillous-Borde and Camille Lopez are the thirteenth pairing picked by Saint-Andre, and the signs are he’s finally found the men around which to build a team. The 29-year-old Tillous-Borde is playing the best rugby of his career at Toulon, finally fulfilling the potential he first showed when he burst onto the scene with Biarritz a decade ago. First capped on France’s summer tour to Australia in 2008, Tillous-Borde won a further eight caps in the nine months that followed. Then he was abruptly jettisoned from the French squad by Marc Lievremont, a coach whose selectorial whims make Saint-Andre look positively steady by comparison. Tillous-Borde is a very un-French scrum-half in that he doesn’t kick goals. It’s been a quirk of French rugby that they’ve produced a generation of kicking scrum-halves: Dimitri Yachvili, Jean-Baptiste Elissalde, Morgan Parra, Maxime Machenaud and Jean-Marc Doussain, while at the same time rearing a succession of fly-halves who have never exuded much confidence when handed the kicking tee. Francois Trinh-Duc and Frederic Michalak have lacked quality and consistency while neither Remi Tales nor Jules Plisson have been up to scratch. Consequenly the scrum-half has been the dominant player in France’s half-back partnerships of the last decade, thereby emasculating the fly-half. Fine player that Parra is, for example, one sometimes has the feeling the Clermont scrum-half believes the team revolves around him. Tillous-Borde and Lopez strike the right balance. The Toulon scrum-half is the senior in years and experience, but it’s Lopez who’s the primary decision-maker. The benefit is plain to see with the Clermont fly-half growing in confidence with each Test he plays. Against Australia – only his third start for France, don’t forget – the 25-year-old landed six from seven shots at goal and produced a solid performance all round (save for two restarts that went straight out). He’ll work hard to correct that flaw, as he’s worked tirelessly to improve his game ever since he joined Bordeaux in 2009. When he arrived at the club he was what the Bordeaux conditioning coach, Ludovic Loustau, called ‘a rough diamond’. And a chunky one, too. At 5ft 7in and more than 15 stone, Lopez was told he needed to shed one-and-a-half stones. He did it the hard way, rising each day at dawn for a one-to-one fitness session with Loustau before the rest of the Bordeaux squad had arrived for the day’s training. Lopez arrived at Clermont in the summer after an ill-fated season at Perpignan. A bright start in Catalan country was curtailed last December when a serious knee injury ruled him out for the rest of season and he was a helpless spectator as his teammates suffered a catastrophic slump in form that ended in relegation to ProD2. Moving to Clermont has been the best decision of Lopez’s young life. At Perpignan last season goal-kicking duties belonged to James Hook; at Clermont he’s been given the responsibility and he’s responded with stunning results, landing 32 of his 36 goals at kick, a success rate of 88.9%. Responsibility. 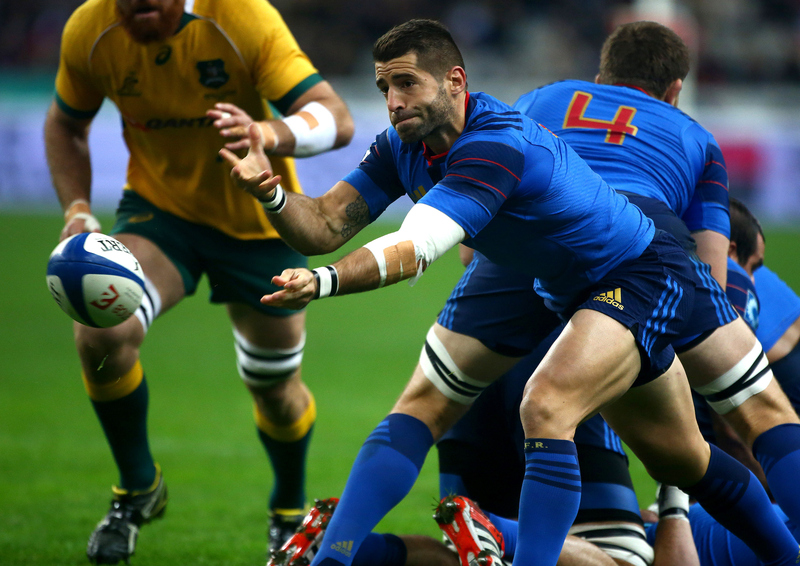 It’s what every fly-half requires, and if Saint-Andre continues to give it to Lopez he’ll finally have found the fly-half France have been craving for years.